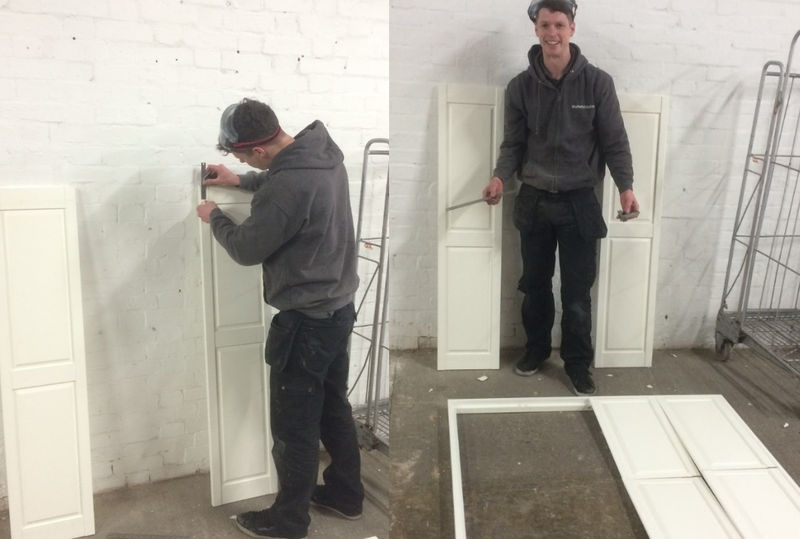 While moving home, our installer Ben shows that your shutters COULD come with you! 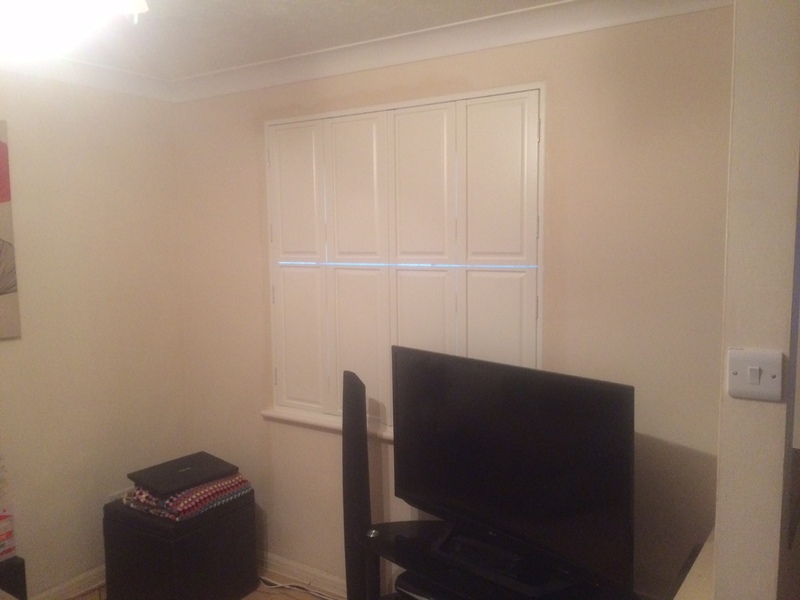 Our installer Ben wanted to move his home shutters from one window, to a new smaller window in his new apartment. We were impressed in the workmanship and versatility of the situation, so wanted to share how it was done! Firstly lets take a look at the original window (apologies for the grainy imagery throughout!). These full height solid shaker shutters are built with a central mid-rail for stability and effect. You can see the large rails (horizontal wood beams within the panel) at this stage. These are going to give us the ability to lose a lot of wood from the shutter to fit the new window with the reduced height. 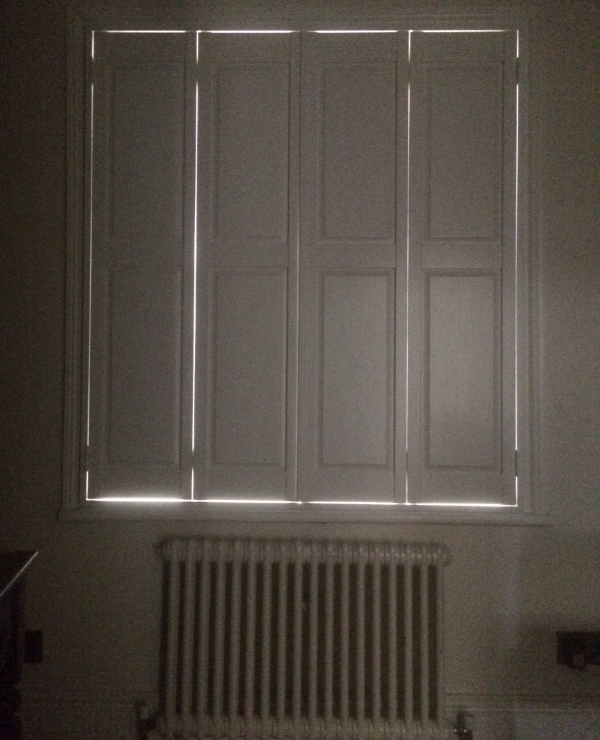 After considering design & some incredibly careful measuring, the shutters were ready for transformation. These shutters have been adapted into a new tier on tier design. While this allowed Ben to remove excess wood from the centre of the shutters, it has also given a new level of functionality. Tier on tier shutters are desired by those wishing to give their room that added level of privacy, as by moving the top and lower levels independently, you can allow maximum sunlight into your room while still blocking the lower level – perfect for ground floor flats. A perfect fit for Ben’s new room! While this adaptive service is not something that we offer, we would always be happy to discuss and maybe offer advice if you were to do a similar project in the future with your Shutterly Fabulous shutters.